Starlimos is a friendly, family run limo hire business. We offer white limousines and chauffeur driven luxury vehicles. We specialise in 8 seater white limousines and can also offer 14 seater Limo Hire in Rotherham. If you would like to hire a limo in Rotherham please contact us and we will be pleased to quote for your occasion. We operate our own fleet of vehicles and don't use a broker, so we can pass on the best prices to our customers. Call now for prices and availability 0800 074 9798. 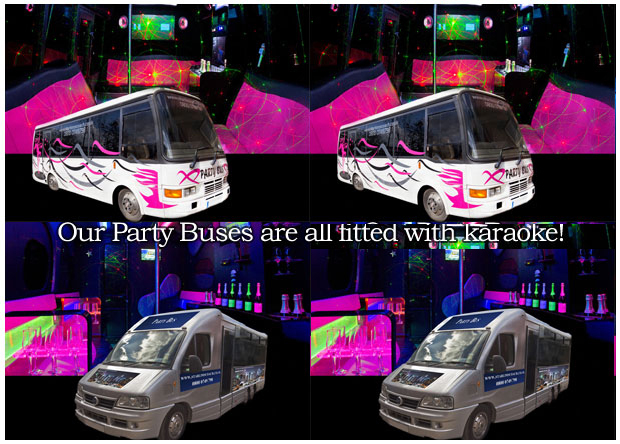 New edition to the fleet 16 seater party bus fitted out with karaoke and dance pole.